Though he thinks of himself as a cowboy, Tommy is really a bully. He's always playing cruel jokes on classmates or stealing from the store. But Tommy has a reason: life at home is tough. His abusive mother isn't well; in fact, she may be mentally ill, and his sister, Mary Lou, is in the hospital badly burned from doing a chore it was really Tommy's turn to do. To make amends, Tommy takes over Mary Lou's paper route. But the paper route also becomes the perfect way for Tommy to investigate his neighbors after stumbling across a copy of The Daily Worker, a communist newspaper. 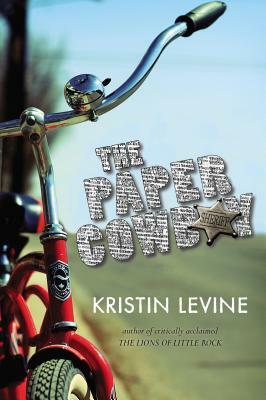 Tommy is shocked to learn that one of his neighbors could be a communist, and soon fear of a communist in this tight-knit community takes hold of everyone when Tommy uses the paper to frame a storeowner, Mr. McKenzie. As Mr. McKenzie's business slowly falls apart and Mary Lou doesn't seem to get any better, Tommy's mother's abuse gets worse causing Tommy's bullying to spiral out of control.